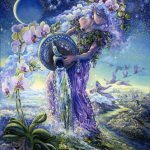 New Moons signify new beginnings – beginnings that are related to the influence of the full Moon that came just before it. 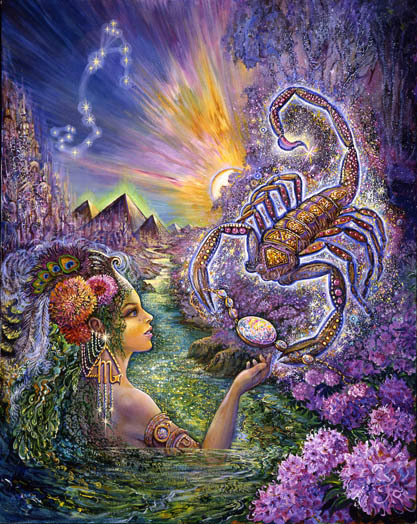 On January 1st a full Moon in Cancer was a culmination of an attempt to gain control over our emotions and to bring ourselves back into balance. An emotional purge may have taken place. In the subsequent two weeks something old or habitual was progressively diminished. Heavy emotional responsibility, pain, fear, or guilt lost some its power. Unfolding events may be changing things. A reorganized emotional state frees up energy for the new beginning signified by the this impending new Moon. This is a cycle that repeats itself every month. The mechanics are the same. The themes and influences are different. 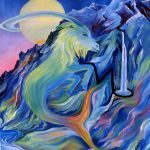 The impending new Moon in the sign of Capricorn occurs on Tuesday, January 16th at 6:47 PM PST and 9:47 PM EST. This week we become progressively susceptible to its influence. 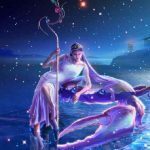 I’ll write this week’s horoscopes based on my interpretation of the new Moon chart. (See below for an image of the chart). Currently seven important planetary influences reside in the sign of Capricorn and, in your chart, in just one astrological “house.” A house signifies a specific realm of life experience. A specific realm of your life experience is very heavily weighted at this time. To resist allowing the current “lunar message” to get through would be very strenuous. Most likely it’s already making an impact. It favors business and the law – your professional life or a change in life direction. Influence, faith, and insights are all enhanced at this time. We have the ability to exert more self-discipline and a tighter focus because we have the desire to be more personally and professionally significant. We would like our voice to be taken more seriously by greater numbers. Maybe that’s already happening. It’s likely you have some kind of rational, effective “program in place” to better yourself or your condition. It’s likely you have in your possession a resource that could serve as the basis for your ultimate success. You may have recently discovered what that is. Problem solving is enhanced. Now is a time when problems you thought would plague you forever are being resolved. Because we’re dealing with the Moon, issues related to home, family, roots, and the past are highlighted. 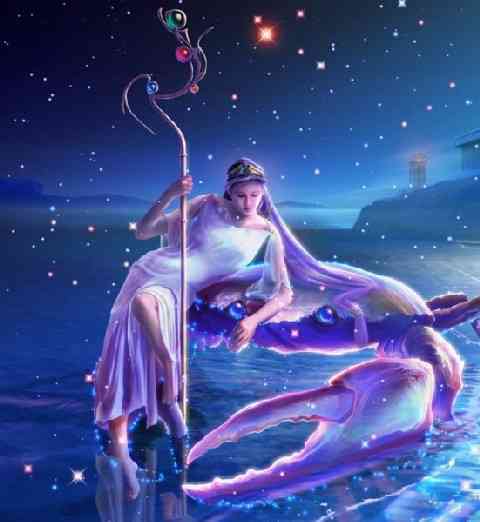 Venus moves into the final 29th degree of Capricorn this week. There is pressure to take some action to resolve a relationship problem that may involve money, financial decisions, a more dispassionate, business-like approach – basically wrapping-up something that became an issue around Dec.26th, 2017. Some general comments about this New Moon chart include the fact that the “air” element is missing. There are no planetary placements in the air signs of Gemini, Libra, or Aquarius. This is significant because “air” represents our rational thought process, our ability to generate ideas, to communicate, and to think our way through life. The message could be that more heart-centered, practical considerations need to be more central in guiding our actions. Black Moon Lilith aligns with Mercury in the sign of Capricorn – within less than a degree. This is a tight conjunction. 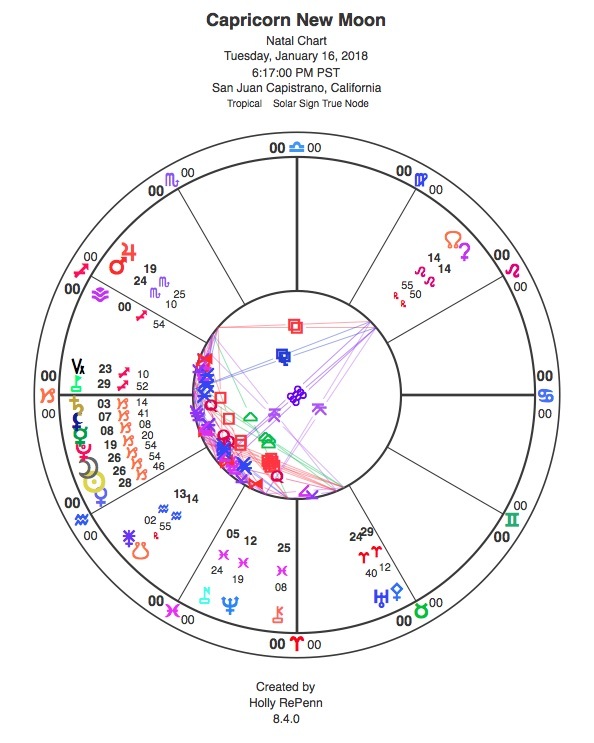 The shadow that hangs over this chart (and the influence of the new Moon) is an intense need to control the flow of events – to stay on our toes so we can anticipate, plan, resist, insist, refute, apply more pressure, etc. Lilith in Capricorn’s primary fear is that of being overlooked, of not standing apart from the crowd, of failing to be singled out as special – exceptionally competent, talented, very accomplished, etc. The antidote for that is the ability to recognize your own competence, exceptionalism, and specialness and to acknowledge it in some thoughtful or sacred way. Chances are you’ve already made progress in the direction of your goals and that you have a ways to go. Focusing exclusively on what’s yet to be done or how you could have done better, or need to make faster progress, is undermining and disempowering in very subtle, psychically devious, ways. The symbol encompasses themes of extricating the self from evil or savage people and situations – bad places, bad jobs, bad relationships, etc. Freeing yourself from a bad psychological script is timely. Banding together against a common enemy may feel right. Being haunted by the past and choosing to “let the dead bury the dead” as you get on with your life is an option you could pursue. Thanks for reading and have a wonderful week. 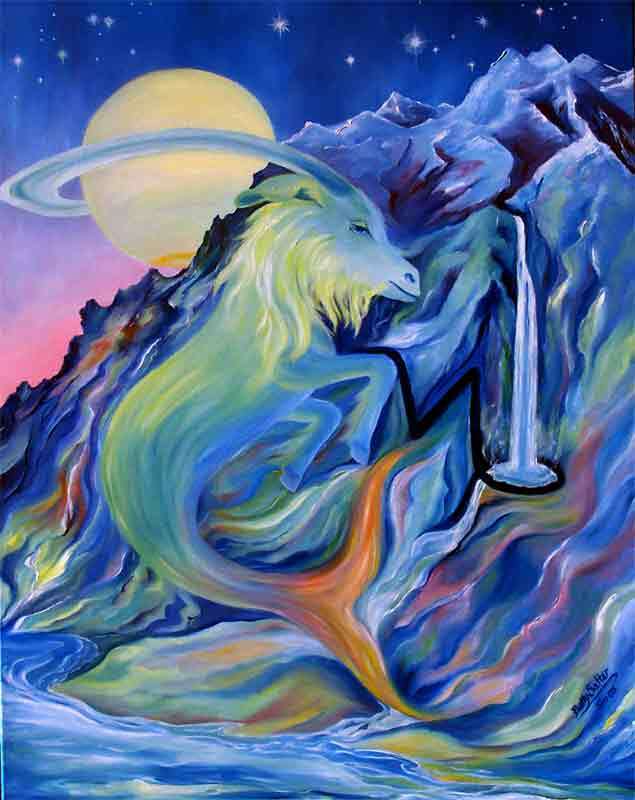 For Aries it’s natural to channel Capricorn energy in the direction of accomplishment. You may be instinctively effective in that regard. Under this new Moon Mars, your chart ruler, forms a beautiful trine aspect with Chiron, the wounded healer. You would have to go out of your way to prevent some very deep and significant healing from occurring. It’s possible for you to do that, though. 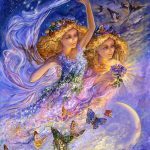 For the sake of a more fulfilling life direction and the chance to make some very significant professional progress, any “secret nurturing” or embrace of your imagined role as a victim, needs to be released. Known to you is an innate way of operating that is maverick-y, magical, artistic and intuitively brilliant. It’s waiting in the wings to be set free and now would be the right time. Holding onto the past, especially if that involves a bad relationship, is poison. It prevents you from setting in place the foundation you need to express the magnitude of your potential. Don’t resist the urge to move on. You have all kinds of tricky ways of doing that that make it seem to you like you’re not really doing that. Let an old style and approach go. Trust that the cosmos is doing its thing to set you free in the direction of greater accomplishment. Ask the universe specifically “what is the one thing I’m holding onto that most needs to be released?” Listen for the answer and do it. 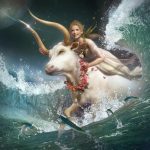 Taurus approaches the end of a relationship in its current form. Something is on the verge of change in the direction of setting you free to pursue your destined life direction. The future is now and what realization may be a difficult transition. There is still something to be worked out within the realm of relationships. To put this in perspective it’s wise to assume that your relationship with another is a perfect reflection of the relationship you have with yourself. If you experience a relationship that feels limiting, unresponsive to your feelings, resistant to long term commitment, or dominated by financial considerations, consider that it mirrors pretty exactly the kind of relationship you have with yourself. It may be hard for you to respond to your own feelings, to feel a sense of warmth and security within yourself, to have faith that the future will unfold beautifully for you, or that you have all the resources you need to be financially successful and secure. Partners show you how to correct and balance your relationship with yourself. You may be approaching the end of a relationship phase – with yourself or another. It’s time to wrap something up, to make a decision, to stay mindful of you, and the extent of your power to influence the future by altering your perspective and response. The most important aspect influencing you under this new Moon is the Lilith/Mercury conjunction in your 8th house of trusting your own instincts. Old psychological conditioning highlights a fear of not being recognized as the stand-out that you are – not being recognized for the power you possess, a special talent, and your ability to at will to “alchemically transmute” bad conditions into good ones – or vice versa. Financial uncertainty may play into this. Fear limits your ability to move into your full potential. There is an intensity right now that might make it seem frivolous to take the time to review and acknowledge all the evidence of your specialness. You might feel you can’t afford to stop and focus on that. But it is critical. The fear of being passed over and not singled out is a distorting influence that skews intuitive signals and impulses. Maybe you want to transform your life direction in some way that seems too difficult. You may be missing the signals that could change that perspective. Emerging opportunities may need to be acted upon. The most effective thing you can do to gain more clarity is something that might feel “over the top” to acknowledge your outstanding-ness. Cancer is voted most likely to take on too much responsibility or to be too controlling with the realm of relationships. A partner may be perceived as critically important to your stability (financial maybe) – someone without whom you’re pretty doubtful you could survive. In Cancer relationships co-dependence might run rampant. There are two possibilities now. Either the above tendencies are magnified and currently on “steroids” or you’re relying on an unusual amount of self-disciplined focus, rational thought and thoughtful action to break free of old tendencies. A realization of the need for something deeply personal and transformative informs your approach. 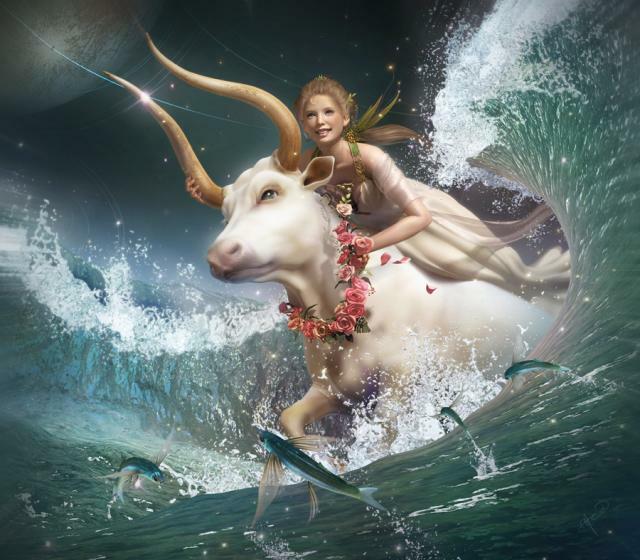 Venus moves into the final degree of Capricorn this week. Something is being released – old habits, reactionary responses, and inherited ways of being – that are very consequential as you’re freed to be “a force to be reckoned with” in the world. Something unexpected within the realm of relationships and/or a professional opportunity may move you along rather quickly. A loss of some kind or a reconnection with an important inner resource or talent may have moved you into a position of leadership. You may have more control over your work life and it may have improved your prospects in some way. Still there is something heavy involved that requires persistence and the need to put your emotional needs on hold. There are opportunities presenting themselves now that change the nature of your relationship with work or your approach to your health – probably both. Those things needed to be changed. There was too much of a history of being a slave to your work for too little compensation. Not that any compensation would have made that trade-off healthy. Maybe you neglected your health or under appreciated the value of a balance between work and rest. Your father’s early influence may have moved you off track in this regard. You may still be working hard now but something is shifting the impact of your early influences in a healthier direction. Your family and home life may be freed up in some way. 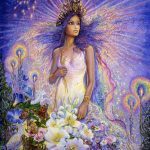 Staying closely connected to your body and in-tune with its signals gives you the information you need to keep yourself moving in this new, healthier, seemingly very promising direction. 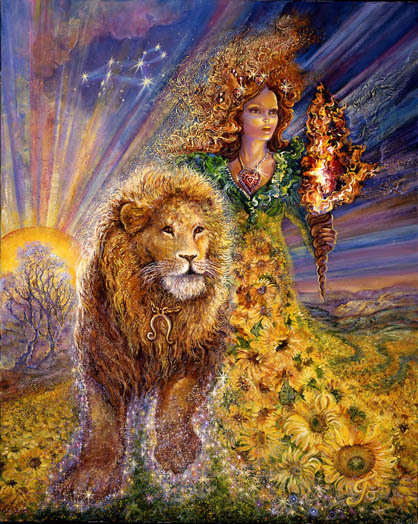 Virgo’s most promising direction is a “spiritually connected, creatively inspired, artistically immersed,” solitary one. Using what you’ve learned about creating breakthroughs for others, setting them free, and/or befriending them, needs to be applied to yourself. You may be in the process of reconnecting with deep sources of inner joy. 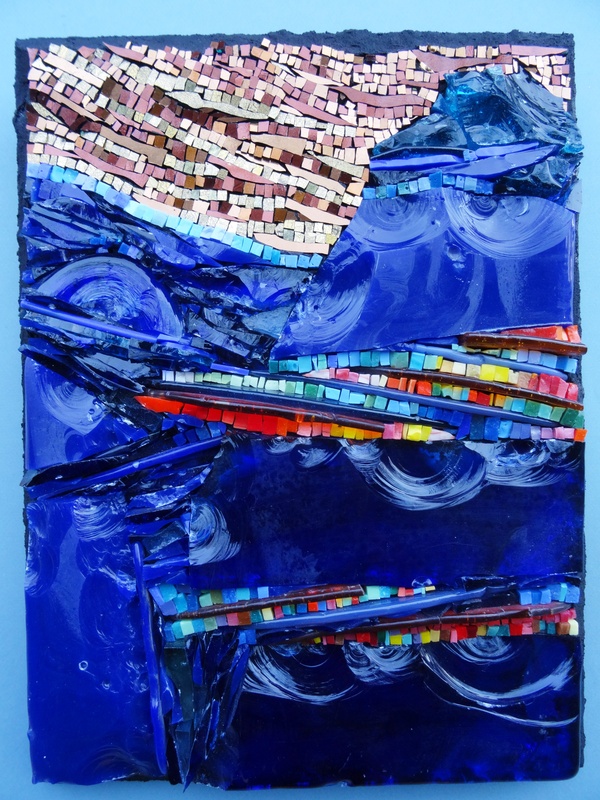 But there is something challenging and strenuous involved in the process. 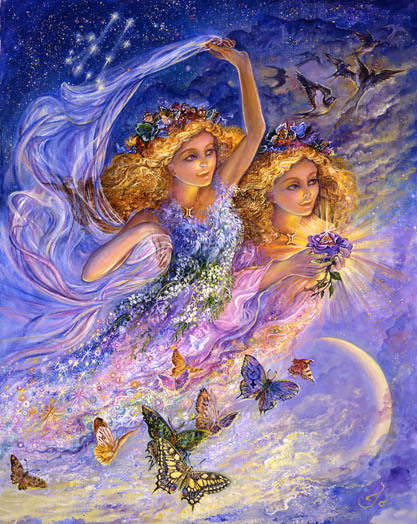 Your mom or your own nurturing talents move you in the right direction – as long as nurturing you is the objective. It is important for you to recognize yourself as a “stand-out” – someone with exceptional talent and extraordinary potential that deserves your attention. Self-love and the ability to revive the inner child who felt burdened with the responsibility of having to earn love needs to be healed. Opportunities to expand your perspective through travel or possibly a move to a different city or country may be involved. There is something about the responsibility you feel to enlighten and heal others that is now most effective when applied to yourself. This may all feel very selfish but it basically involves facing yourself and accepting responsibility for the urgency of your own needs. If you’ll notice the old excuses for not doing so may be evaporating. The message is fairly clear. A relationship with your home, family members, or the past needs to be resolved. For your own sense of integrity, the stability of your inner foundations, and your ability to progress in the direction of achieving your goals, something needs to be severed or completely transformed. Moving your place of residence may facilitate the transformation. You may be in the process of setting yourself free of a long history of restriction, limitation, and maybe the expectation that others would and could treat you in cold-hearted ways. Maybe it steeled you to face what you needed to face in the professional world. But it seems you’ve learned the lessons you needed to learn, passed the tests, and defeated the dragon. It’s time for something freer and warmer and friendlier. Your path is in the direction of a socially responsible mission mission – uplifting humanity through your brainy brilliance and unusual creative talent. Trust yourself to end old power struggles and financial dependencies that keep you restricted. 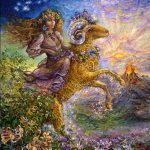 All Capricorn plants are loaded into your 3rd house – the house of your thoughts, ideas, mindset, and the responsibility you have to make important decisions. Within the realm of relationships it seems that a conclusion must be drawn before next Wednesday. 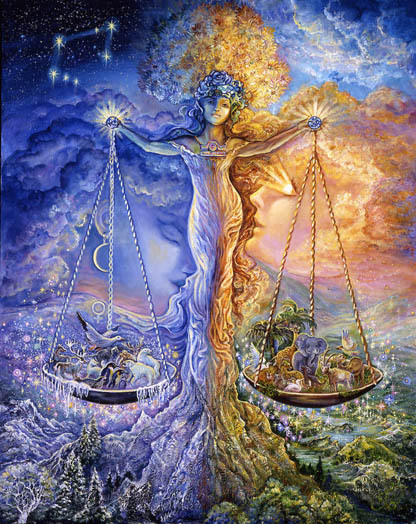 Jupiter and Uranus form an inconjunct angle which signifies the need for a major adjustment. I’ve written before about what an inconjunct requires. Basically it involves change, release, letting go, moving into a new situation. Often it’s a major transition. In the words of Bernadette Brady an inconjunct “walks on stage and stops the play, changes the plot, and moves everybody to a new theatre.” An inconjunct wants to move you into a new situation whether or not you’re ready for it. In this case you may not be ready for it. The planets involved are Jupiter and Uranus. Jupiter overwhelms and frees. 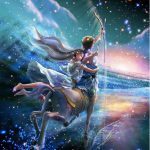 Uranus triggers sudden breaks and breakthroughs that are permanent. An old commitment to your home, your family, and the past may be dissolving. At stake is your ability to get on with your professional/public role – making a splash with your usual creative talent and brilliance. 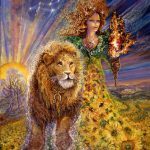 Jupiter in your mysterious, “just partially conscious” 12th house, seems to be moving things in a fortunate direction without your interference or controlling influence. It’s Karma – good Karma. Something you’ve done in the past, maybe over the past 12 years – deserves to be rewarded. Most likely it involved some difficult family situations, separation, and dark influences that might have tempted you to act in ways that were beneath you. Possibly you resisted, took the high road, and chose to love anyway. The overwhelming influence of Capricorn is exacting. He doesn’t miss much. So there is some new freedom in the deepest recesses of your mind and heart. Energy has been freed up. Depression is lifting. The above mentioned Jupiter/Pluto sextile is most operative for you now. You may be in the process of “upping your game. Financially you may enter into a very promising period. 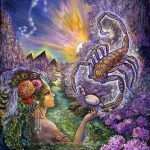 Opportunities increase for a change in your life direction and become a more significant player particularly within healing or artistic worlds. Your work may change the nature of a particular field that is currently not your own. You are invisibly supported in all that you do – especially between now and September 12th. You’ve earned this. Capricorn may be in the process of taking on more of leadership role. In the recent past there was reason to hesitate. Something was less assured. But that’s over. Now you may be stepping into the role you were made for. It’s assertive, full of integrity, accountable, reliable, responsible, hard-working, backed by a wealth of experience, and infinitely valuable in moving you in the direction of extraordinary success. It may feel like a relief to finally be playing your own game. But if you’re not aware of the need for balance you could deplete something you don’t want to deplete. It’s good to check in within yourself periodically to know whether your your reaching toward something you deeply desire or whether your just reaching. Capricorn can be energized by work for work’s sake. Or do a good job for the sake of doing it. Or make vast amounts of money for the sake of making it. But you’re playing the long game. What you most want to prevent is ending up successful in the eyes of the world and empty inside. Your work ethic allows you to achieve anything you want. Make sure that ultimately your work supports the kind of life you want. 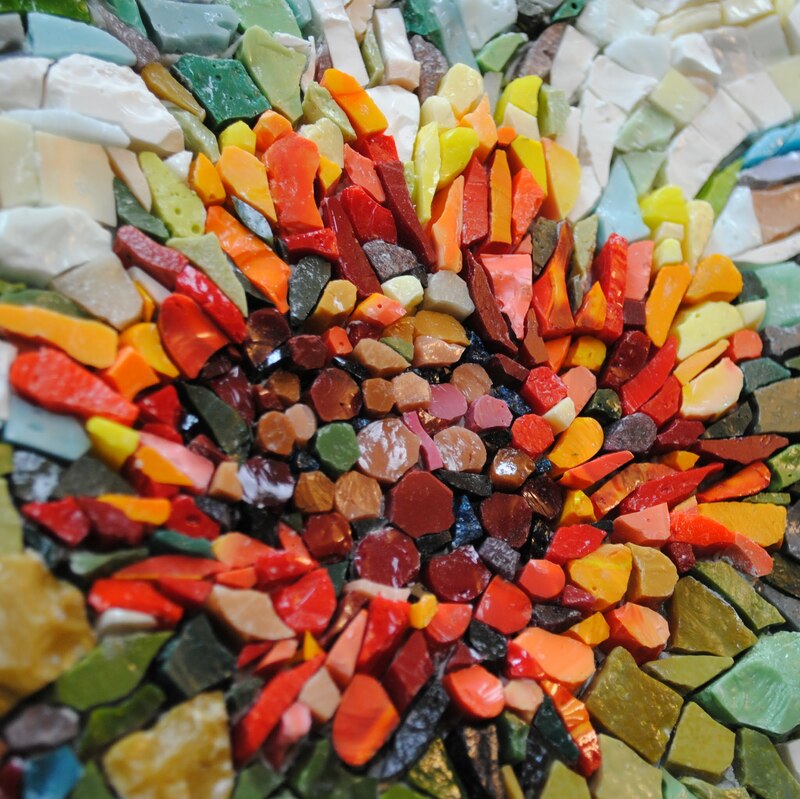 Seven Capricorn placements now stir things up in your most delicate, sensitive 12th house. Sleep patterns may be altered. 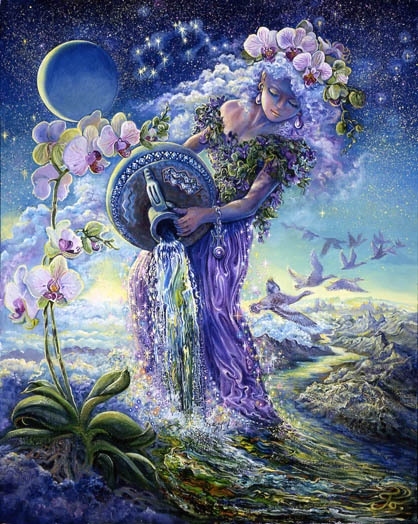 Aquarius is known to carefully control the release of information from their subconscious mind. There is some fear as to what that might be revealed and how it might alter their perceptions. But now it’s important to lighten up on that control and to deliberately stimulate the release of information embedded deep within the recesses of your mind. Hidden information contains the secrets that could advance you and the whole of humanity in some important way. Your intuition and instincts provide the resources you need to achieve something significant within the realm of the sublime. 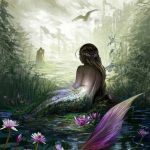 If you can recognize and honor your muse – the inspired entity that guides, protects, and partners with you to stimulates the creation of beauty, healing, something magical and revolutionary – that would be my suggestion. Call in your muse. Einstein’s muse was Mozart’s music. He played Mozart compositions whenever he reached a mental roadblock and needed a breakthrough. Mozart, through his music, was instrumental in guiding Einstein into places that bypassed the limits of his mind. The result was the discovery of the theory of relativity. Einstein gives Mozart credit for that. Your muse exists to assist and inspire you in similar ways. Jupiter is your ruling planet and he’s now in a powerful sextile aspect to Pluto. This is fortunate for you. Opportunities are in the process of coalescing. 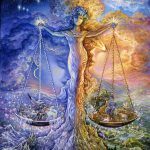 You may be in the process of deciding which one to choose, which way to go, and what action would ultimately result in more freedom and space within which you could maneuver. Maybe this is a stepping stone. It seems you’re in the process of upping your game. You’ve gotten more serious and realistic about what exactly might work for you. Opportunities to influence in bigger ways, within bigger venues, for the sake of some socially responsible mission or spiritually healing accomplishment may feel exciting. Decisions at this time – and through September of 2018 – may feel potentially life altering and critical. In any case it’s time to move away from confusion, indecisiveness, and free-floating. Whatever you choose will not seem exactly perfect. But in terms of re-uniting you with your spiritual self and your soul it might be perfect. These horoscopes and insights are spot on for me. I feel like you are writing exactly about my life. Thank you for what you do.